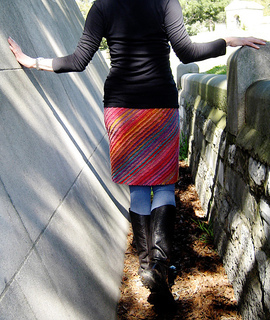 The Kureyon yarn is heavy enough to make a solid, comfortable skirt that’s going to retain its shape. 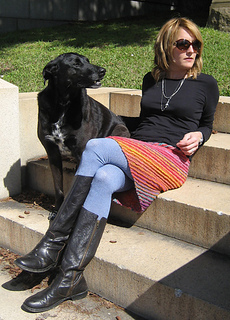 Diagonal stripes add interest to the shape and being knit on the bias the skirt won’t curl at the edge. 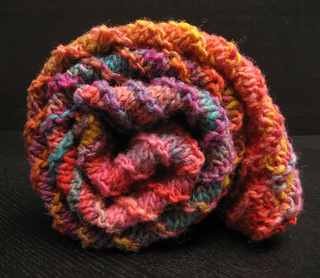 Though this version is unlined, it would be easy enough to add a lining if you so wished.